Not all showers will fit in the space that’s being occupied by your bathtub, which is why it’s important to measure your bathroom as precisely as possible. Most tubs are 60 inches wide, which is a great width for a shower. Unfortunately, many homeowners typically run into an issue with the depth. You’ll want to aim for at least 32 to 34 inches from the finished tile wall to the future glass shower door. To comply with the National Kitchen & Bath Association’s guidelines for bathrooms, you’ll also need to have a finished ceiling height of a minimum of 80 inches and a shower that’s at least 30 X 30 to comply. It’s also important to record the toilet location- a distance of 15 to 18 inches from the center of the toilet to the shower door tends to be comfortable. Starting a bathroom remodel can seem like a daunting project. If you don’t know what you’re doing, it’s easy to make some costly mistakes. As such, it’s important to know the necessary demolition and renovation steps so that you can build a new and improved bathroom With these basic tips, you can begin your remodeling project with the confidence that you’re taking the proper steps in order to complete the process. 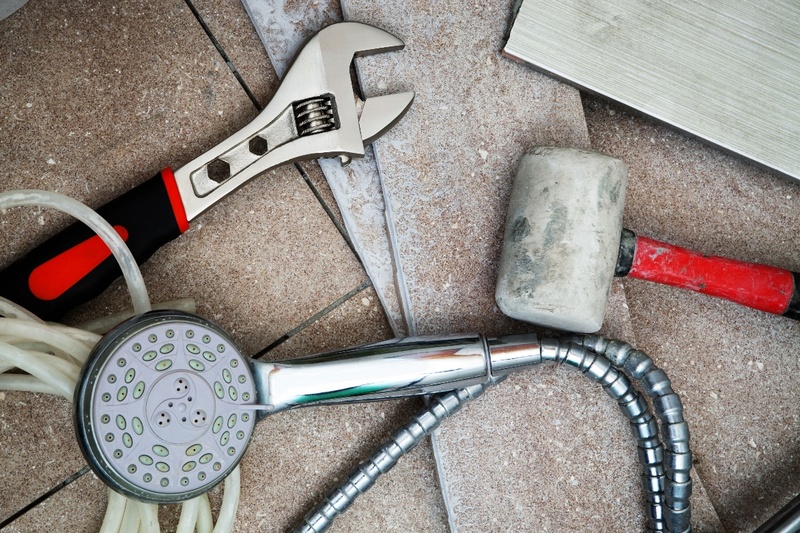 Before beginning your bathroom remodel, you’ll need to clear out your current bathroom. This will require some demolition and removal of large appliances on your part. For example, you’ll need to remove the bathroom vanity, which will require you to turn off the water supply, disconnect any drain pipes, and cut the seal of the caulk holding the vanity to the wall so that you can remove it piece by piece. Removing a vanity can seem like a project in itself, and it’s one of the more important parts of any bathroom remodel. You’ll also need to remove the toilet, which you can do by hitting the base of the tank and the bottom of the toilet with a hammer just hard enough so that you crack the porcelain around the bolts. Once you’ve created some separation, you can haul the toilet out along with the wax ring and you’re all set. You’re also going to need to remove the shower pipe, any remaining insulation, and the tile before you can begin making any additions. Once you’ve stripped your bathroom, you can begin to apply your vision of your new and improved bathroom layout. However, make sure to keep it realistic for your home and its function. For example, you’ll want to address questions such as whether or not you’ll need no-slip floors or child-friendly features. If you’re renovating the master bath and you’d like separate sinks and mirrors for you and your spouse, then you’ll need to work this into your floorplan. Make sure you have enough room if you’re going to add a large tub or vanity. It’s important to focus on the parts that you have room for and that you’ll get the most use out of. Make sure to come up with a remodel plan that allows for some walk-around space that will still provide you with everything you need on a daily basis, as your bathroom will surely need to accommodate you comfortably every day. 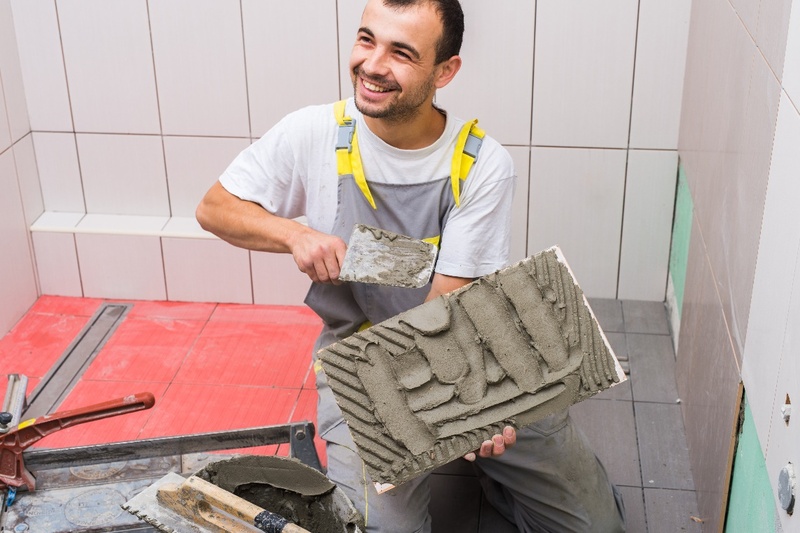 While we’d all like to consider ourselves DIY experts, there are certain jobs that are better left to the professionals. If you don’t feel completely comfortable removing the vanity, then perhaps you should look for some extra assistance, as this is not a task you’ll want to take lightly. The same holds true for installing a new toiler or bathtub. If you’re not experienced or confident in setting these items firmly in their place, then you may want to hire an expert. It’s good to do as much as you can on your own, and nobody wants to spend extra, but there are certain parts of a bathroom remodel that are just better when done by the experts. So, if you’re uncertain on how to install an appliance or secure a certain fixture in your bathroom, then it might be best to do some research on local, experienced professionals. A bathroom remodel can be overwhelming, but it doesn’t have to be a nightmare. Hopefully these tips have been helpful in giving you some perspective on the work that lies ahead. Keep these steps in mind and you’ll be on your way to completing a bathroom remodel. Although textured popcorn ceiling went out of style years ago, many older homes – and some new ones – continue to be built with popcorn ceilings. While removing popcorn ceiling isn’t a difficult process, it’s a messy job that requires hard work and special safety precautions. 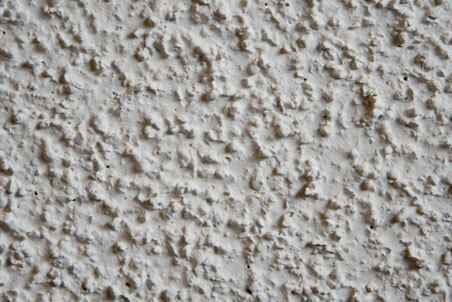 If your home was built before 1980, the popcorn ceiling should be tested for asbestos before removal. To test for asbestos, use a putty knife to scrape a small amount into a sealable plastic bag and send the sample to an approved testing service. If your popcorn ceiling contains no traces of asbestos, use the below information to safely and efficiently remove the “popcorn” from your ceiling. Since you’ll be using a lot of water in this DIY project, you’ll want to turn off the electricity and check it with a circuit tester. Proceed to remove all furniture, such as bath vanities and other removable fixtures, and ceiling light fittings from the room. Tape small pieces of plastic over each electrical outlet, and cover the floor with the plastic sheeting. For extra protection, extend the floor sheeting about a foot or so up the wall. From there, secure plastic sheeting along the walls with painter’s tape, and roll out a layer of resin paper on the floor. Once the room is covered in plastic and protected against stains, it’s time to spray and scrape the ceiling. Fill the pump sprayer with warm water and 2-3 tablespoons of liquid soap per gallon of water. Saturate a 4-6 foot square section of the ceiling with the solution; saturate it enough to loosen the popcorn, but not so much that it damages the drywall underneath. Wait 15-20 minutes for the solution to be absorbed and use a floor scraper to gently scrape away the popcorn texture. If the popcorn isn’t coming off relatively easily, spray it again and try waiting longer for the solution to be absorbed. Once the popcorn ceiling is removed, you may notice high spots, gauges, or visible nails and screws in your ceiling. Hammer any visible nails below the surface, and cover them with a joint compound. Once the repair work has dried, sand the ceiling with a long handled mesh sanding pad. Just be sure to only sand the high spots, as too much sanding will damage the ceiling. The final touch is to prime and paint the ceiling with a latex ceiling paint. Once dry, remove the plastic and move any furniture back into the bathroom.